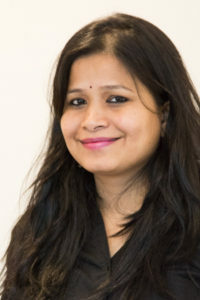 I am a post-doctoral research fellow at International Institute for Applied Systems Analysis (IIASA) in Austria and an Assistant Professor of Population Studies at Jawaharlal Nehru University (JNU), New Delhi. I hail from a small village in Assam, where I did my schooling and college. I did Master in Statistics from Gauhati University, Assam in 2005. Thereafter I joined International Institute for Population Sciences (IIPS), Mumbai to fulfill my long cherished dream to study in a reputed institute of India. I did my M Phil and Ph.D. on the topic related to adult mortality in India. The training and exposure at IIPS shaped my career as researcher & academician. During my Ph.D., I spent substantial time at Max Planck Institute for Demographic Research (MPIDR), Germany, one of the finest places for research in technical demography in Europe and in the world. After my Ph.D. completion in 2011, I served as an Assistant Professor at Population Research Centre, Institute of Economic Growth (IEG) for more than two years. I enjoyed working at IEG as the atmosphere at IEG was very conducive to research. However, my passion for teaching has taken me to JNU, India’s best-rated University. Since then, I am actively involved in teaching and guiding students in population and health research. The last couple of years, I am teaching courses on advanced demographic methods, Demographic change: Health and Mortality analysis & Quantitative Methods in Social Science Research. My research interest lies on formal demography or mathematical & statistical relations between demographic measures; mortality and cause of death studies using life tables; socio-economic and regional inequalities in health; disability analysis; quality of demographic data and undocumented immigration; demography of Tribal Population. My passion includes traveling through the globe and exploring and experiencing new cultures; inspire students particularly girl students to be able and independent and serve someway to the downtrodden people of my homeland! I have a lot of dreams in this direction and I hope that some of them will be fulfilled in near future!